The 2019 Allied Pickfords Cup Fixture has been finalised ahead of the March 30th season opener. 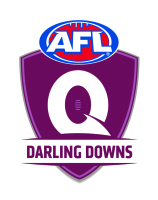 The season will see two rounds played prior to 2 weeks off for the Easter holidays, before returning in full swing from April 27th for the ANZAC Round in Round 3. 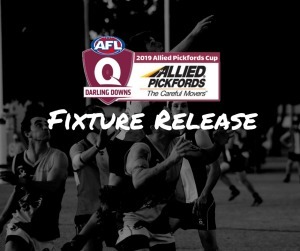 Round 3 will also feature the Grand Final re-match between the USQ Cougars and the Goondiwindi Hawks. Round 4 will feature the Umpire Appreciation Round, whilst Round 7 will see the region celebrate Sir Doug Nicholls Round. The 18 round competition will finish on the 17th August, with a four week final series seeing the 2019 Grand Final to be played on the 14th September.